A writer's thoughts on writing, science, reading, public health, science fiction, and a few other ramblings. 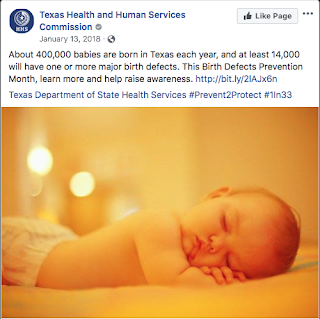 About 400,000 babies are born in Texas each year, and at least 14,000 will have one or more major birth defects. This January, for Birth Defects Prevention Month, a story I wrote helped raise awareness. While I was working on this story, I interviewed a courageous woman and mother. Anne Andis had a beautiful baby girl born with a tragic birth defect. Anne worked to make sure her baby girl's life made a difference. Her story is linked in the article above, or you can jump directly to Making Birth Defects Count, a Mother's Story. Want to know when my book is published? 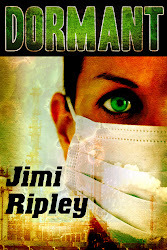 Sign up for my new releases email list.